For my first ever blog post on The Playmaker, I wrote a Premier League Preview piece and as we approach the start of another campaign in the top division, I thought it would be fitting to go back to where I started and write a preview for the coming season. What exactly happened last season? Well, it seems that order was restored and the status quo returned to normal as Manchester United took the Premier League title back from City in a convincing, if unexuberant manner. 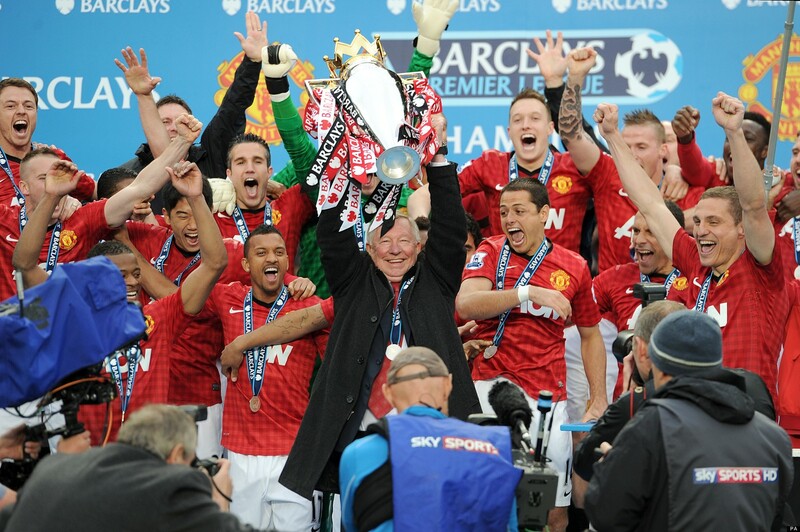 The Manchester United, metronomic trophy machine droned on, collecting another Premier League title as Fergie confirmed his retirement in the most fitting way possible. City on the other hand had a disappointing season, finishing 11 points behind United as unrest in the squad took its toll despite Mancini’s best efforts. The final nail in the Italians coffin was hammered home as City lost the FA Cup final to a Wigan Athletic side who ended the season as relegation fodder. Chelsea finished the season with silverware in the form of the Europa League trophy as Rafa Benitez overcame a torrent of abuse from the clubs fans before moving swiftly on to Napoli. Arsenal celebrated fourth spot and European qualification as if it were the Champions League trophy itself and Spurs once again fell at the final hurdle despite Gareth Bale effectively destroying most teams he played against. Everton’s final season with Moyes at the helm saw the Toffees finish above Liverpool again as Brendan Rodgers, in-flux Liverpool team managed a 7th place finish. A lack of action at the top saw the final day of the season billed as The Fight for Fourth, but it was the battle at the bottom that provided the most entertainment. Queens Park Rangers used around 50 different players in their squad of Premier League “has been’s” and still finished rock bottom, accompanied by Reading and Wigan as Di Canio kept Sunderland safe and Newcastle and Villa maintained their Premier League status. It’s safe to say 2012/2013 was a disappointment, especially after Manchester City’s title winning campaign and it definitely won’t be one to watch too many times over on Premier League Years. The Uruguayan forward has proved yet again how much of insolent and immature individual he is by using all manner of tactics to force a move away from Liverpool (as he did at Ajax and Gronigen before that), who have supported him through all his past disciplinary issues included the racial abuse of Patrice Evra and the biting of Branislav Ivanović. And yet he is still inclined to take legal action to get his move away from The Reds. However, Liverpool owner, John Henry made the clubs stance on the matter perfectly clear and I for one, hope they stick to their guns as it would be great to see Suárez throw every single one of his proverbial toys out of his proverbial pram. The Wayne Rooney saga has dragged on for a couple of seasons now and came to a head again as he was left out of the Manchester United starting 11 to face Real Madrid in the Champions League. I think his recent push for a transfer is obviously down to his past relationship with David Moyes as the two have a history of lawsuits against each other, but I don’t really see anyone other than Chelsea signing the England forward. His wage demands will be too high and most of Europe’s elite have already snapped up the more prolific striking talent that’s out there. Then there’s Gareth Bale, oh what to say about Gareth Bale? The Welshman goes into summer on the back of the best season of his career with Spurs and is now subject to the golden gaze of Real Madrid’s latest world record bid. This is just another clear indication of the inflating prices that footballers command. There is no way that Bale is better than Cristiano Ronaldo and yet he Spurs want £20 million more than Madrid paid for Portugal’s star man? Bale still has a lot to prove on the European stage. Okay, I accept he completely destroyed (then) Inter Milan’s Brazilian full back, Maicon in the Champions League a few years back but Ronaldo had already won the Champions League with United before he moved on. It would be great to see him stay with Spurs but Bale’s highlight reel speaks for itself, an endless collection of goals that still drop jaws after the third and fourth watch. And fair play to Tottenham if they can afford turn down a bid equal to £100 million! It’s been a busy summer in a different way this year with only Manchester City really splashing the cash. City, Chelsea and United all have new managers in place for this season as Manuel Pellegrini, José Mourinho and David Moyes all take over at their respective clubs. This immediately makes it more difficult to predict what will happen in the coming season and the flux in the management of aforementioned teams will almost definitely help to throw a few surprises into the mix before May 2014. City are the only club to really spend big, acquiring the likes of Sevilla’s Spanish duo, Jesús Navas and Álvaro Negredo on top of Brazilian midfielder, Fernandinho and Fiorentina’s exciting forward, Stevan Jovetić, for the sum total of around £90 million. All of whom should improve City’s squad. 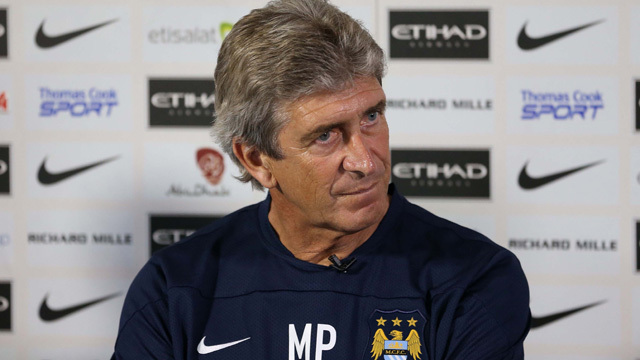 Pellegrini has one of the strongest squads at his disposal and if he can get his players to produce the kind of performances they did back in 2011-2012, then there is no doubt City can mount a stronger title challenge this time around. Chelsea have spent money, but on a much smaller scale with Andre Schürrle signing from Bayer Leverkusen for £18 million and Marco van Ginkel joining from Vitesse for around £8 million. However, Mourinho has several players returning from loan spells, including attacking midfielder, Kevin De Bruyne who had a fantastic campaign for Werder Bremen in Germany and has proved to be one of Chelsea’s key men during pre-season. Michael Essien has also returned from Madrid along with Romelu Lukaku from West Brom adding further options for Mourinho to utilise. I believe Chelsea to have one of the strongest squads in the league going into this season, at least on paper. In my opinion, the battle for the Premier League title will be between Chelsea and City. Manchester United are definitely a different animal without Fergie and new boss, Moyes has come under pressure almost immediately with the lack of summer signings and results during pre-season. Everyone knows that Moyes desperately needs a centre midfielder but his approaches for Cesc Fabregas have been rebuffed several times by Barcelona. United also missed out on Thiago Alcântara who signed for Bayern Munich and now Marouane Fellaini and Luka Modrić are the latest players to be linked with a switch to Old Trafford. It will definitely be massive season of change at United and I don’t think they will have enough to retain their title, unless they make a couple of quality signings before the window shuts. However, United always seem to pull a rabbit out of the hat when it comes to crunch time, they’ve managed to perform on a consistent level without spending the wads of cash that City or Chelsea have splashed out in recent years. But with Fergie stepping down and new boy Moyes taking charge, I can see it being a season without silverware for United. 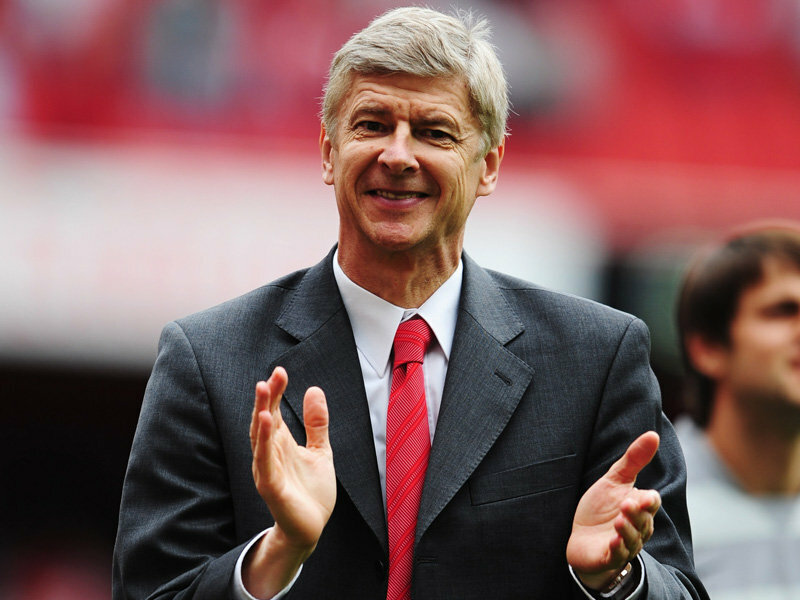 Arsenal, how we love to berate Arsenal for their lack of trophies. The Gunners have avoided a change of manager and apparently Mr Wenger has plenty of money to spend this summer and yet the only signing to date is a young, French striker Yaya Sanogo. Arsenal have played a shrewd financial game in recent years, the building of the new stadium has restricted Wenger’s transfer budget but as a trade-off the club is now in a very stable position for the future, especially considering all of Fifa’s Financial Fair Play regulations coming into affect. We have all been led to believe that Arsenal have some money to spend this summer but Wenger’s failure to secure Gonzalo Higuaín from Real Madrid and the continually unsuccessful pursuit of Luis Suárez has left fans wondering “Where are the marquee signing’s we were promised?” However, I think it’s important for Arsenal fans to trust Wenger’s judgement to sign the right players to take the club forward and not just hit the market for the sake of it, throwing cash at the nearest man who has ever kicked a football. Having said this, Arsenal fans frustrations with Wenger’s transfer policy are completely understandable. Liverpool have made some small investments this summer with Sevilla midfielder Luis Alberto and Celta Vigo forward Iago Aspas signing for Brendan Rodgers side as well as Kolo Touré joining on a free transfer from Manchester City. Liverpool’s most expensive signing was Sunderland goalkeeper, Simon Mignolet who joined for around £9 million. 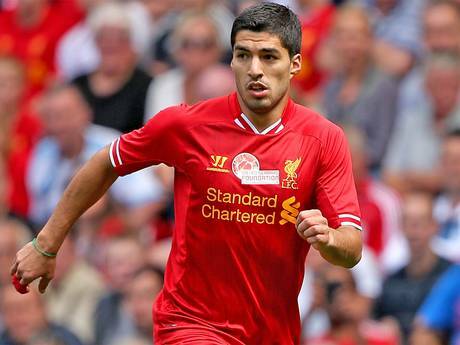 Although Liverpool have not made massive investments, their best signing could be simply keeping hold of Luis Suárez. Despite the strikers continued disciplinary problems and his exceptionally poor attitude, there is no denying his quality with a football at his feet. Can Liverpool make the Champions League places? Unless Rodgers signs a few better players, I highly doubt it. Andre Villas-Boas also wasted no time in strengthening his Spurs side with the £17 million signing of Brazilian midfielder Paulinho, who starred for his country in the Confederations Cup in June. Spanish Striker, Roberto Soldado also became Spurs record signing as he joined from Valencia for £26 million to bolster Villas-Boas’ options upfront, a position which they have been severely lacking. FC Twente’s Belgian winger, Nacer Chadli has also joined the ranks to offer more options out wide. As with Liverpool it will be important for Tottenham to keep hold of their talisman player in Gareth Bale if they’re to enjoy more success. However, it was surprising that Villas-Boas let Steven Caulker leave to join Cardiff, especially considering William Gallas has been released and Jan Vertonghen has faced injury problems during pre-season. This leaves only Michael Dawson and Younès Kaboul available at centre-back. Clint Dempsey was also allowed to leave to return to his homeland and become the highest paid player in the MLS. Everton and their notoriously tight budget, along with a new manager in Roberto Martinez may struggle this season. Martinez has raided his old club Wigan for Arouna Koné, Antolín Alcaraz and Joel Robles but these are not the signings of a side pushing for Champions League football no matter how you dress it up. Manchester United have been courting Marouane Fellaini and Leighton Baines all summer and it is absolutely paramount that Everton keep hold of these players, probably more so than Suárez at Liverpool and Bale at Tottenham. I can see Everton failing into mid table obscurity in the coming season. As always, there will be a few teams to look out for in the coming season and more specifically I think there are a couple of sides who could prove to be real surprise packages. Last season’s Capital One Cup winners, Swansea City have invested in their playing staff. 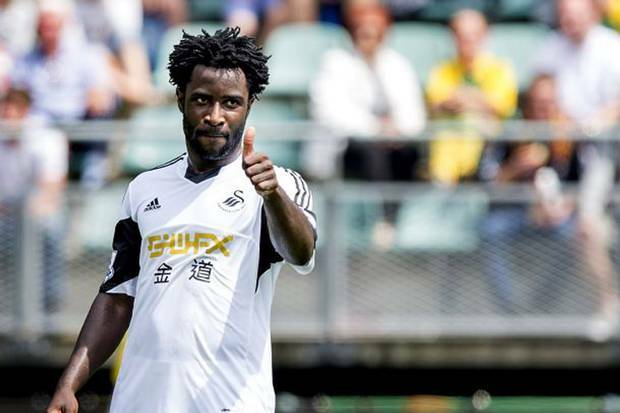 The much coveted, Wilfred Bony joined from Dutch side Vitesse for a club record fee of £13 million and it will be interesting to see the 2012/13 Eredivisie top scorer strutting his stuff in the Premier League alongside Michu. Jonjo Shelvey signed from Liverpool for £6 million and has been putting in some solid performances during pre-season. Michael Laudrup also brought in another two Spaniards in José Alberto Canas from Real Betis and Jordi Amat from Espanyol to add to his squad. Swansea’s style of play is a joy to watch and hopefully these additions can complement their play in the coming Premier League and European season. Can Wilfried Bony take the Premier League by storm? Norwich City have also done some fantastic business over the summer as well and should definitely be one to watch. Ricky van Wolfswinkel was the Canaries biggest signing, costing around £8.8 million from Sporting Lisbon. The Dutchman arrives with a solid goal record and experience in European competition to take Norwich to the next level. Gary Hooper also signed from Celtic for £6.5 million to add to the threat going forward and another Dutchman, Leroy Fer from FC Twente, will bring some continental class into the midfield along with youngster, Nathan Redmond, who arrives from Birmingham. Another centre-back would give Norwich a strong basis to push for the Europa League spots and I think a top ten finish would be great progress for the Canaries. Fans of Newcastle, Sunderland and Aston Villa will also have some hope for the new season after all three endured very disappointing campaigns last time out. Di Canio has made a host of new signings to bolster his squad; Alan Pardew acquired Loic Remy on-loan from relegated QPR to help take the pressure off Papiss Cissé. Southampton have also made some solid signings and should prove to be tough opposition for any team next season. Who will be relegated? Well, it’s difficult to look past the three teams that achieved promotion last season to be honest. Hull City and Crystal Palace look the more likely candidates out of the three and if I had to tip one side to stay up it would be Cardiff City as they seem to have invested the most in their squad so far. Once again, it’s incredibly difficult to predict the final outcome of this season with so many factors coming into play and so many quality signings coming in. Whilst the press have been concentrating mostly on the big three transfers in Rooney, Suárez and Bale, there have been several quality signings that have gone under the radar and improved the overall quality of the Premier League. Next season has all the ingredients to make it one of the best in Premier League history. The number of managerial changes at the top clubs has been the most I can remember in one go and this is bound to have an impact on the performances of those teams, be that positive or negative. Chelsea and Manchester City both look very strong and in a healthy position for the 2013/2014 campaign, and whilst it’s not quite panic time at Manchester United and Arsenal just yet, there is definitely the need for a few more signings before the transfer window closes. Overall, I think we are in for another great season with a few surprises on the way. I think it will be Chelsea and Manchester City to contest the top two spots with Arsenal, Tottenham and Manchester United, making up the rest of the top five, although not necessarily in that order. Below that, it will be interesting to see how Everton and Liverpool perform and whether Norwich and Swansea can improve on last year’s final positions by pushing for the European places. The relegation battle will also be an interesting one but I can’t look past Hull, Crystal Palace and Cardiff for the bottom three.